Her name is Spirit and she’s a Rough Collie, the Lassie type of Collie. She runs, runs, and runs. She loves to chase her ball. These Collies are supposed to be herding sheep in Scotland. Queen Victoria made the Rough Collie into a fashion statement, just like Queen Elizabeth II made the Corgi a luxury dog. 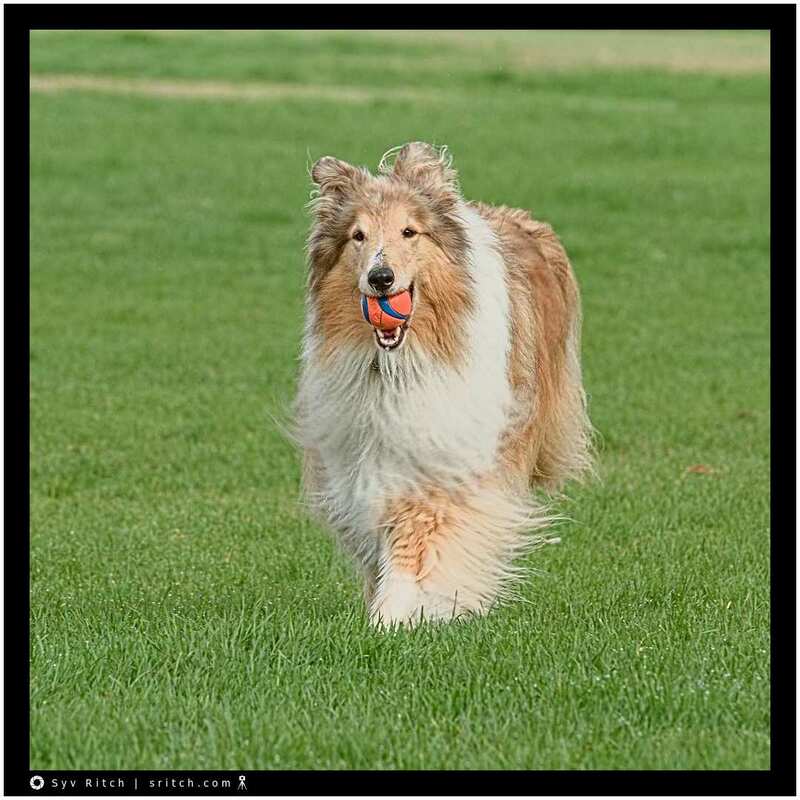 These Rough Collies are supposed to be able to cover 100 miles/160 km per day! 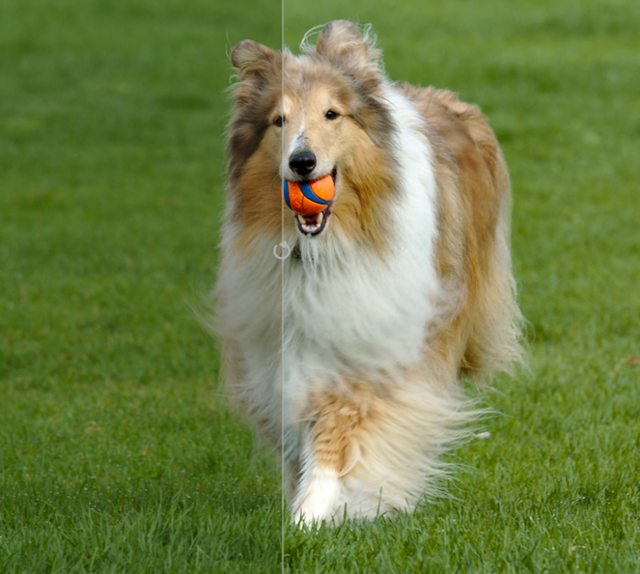 The Rough Collie mostly lost his status of a herding dog to the Border Collie. I took many photos to get the motion right. This photo is when she came back with her prize, the ball. Look at the satisfaction, she’s prancing. Actually, I think that her prize is the chase and the ball is only a pretext for running.